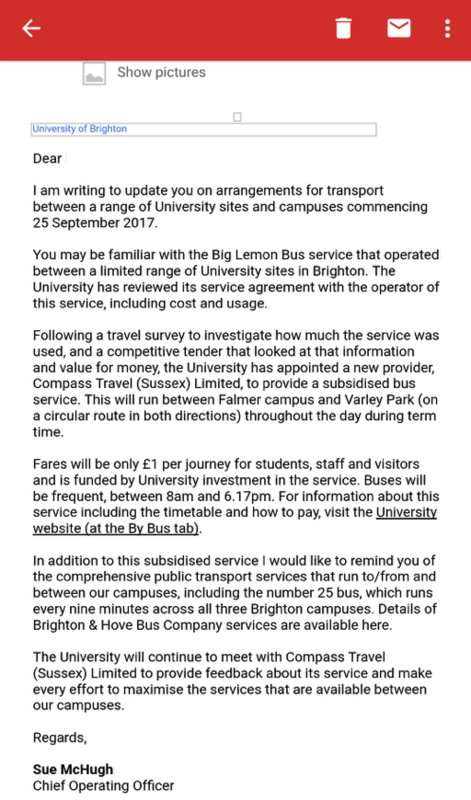 The Verse’s Charlotte Crane outlines and discusses the cancellation of free University of Brighton bus service, The Big Lemon. For anyone who hasn’t already heard the news, the University of Brighton has decided to cease operation of their Big Lemon bus service, effective immediately. The Big Lemon, which has run as a free service from Grand Parade Campus, through Moulsecoomb and up to Varley Park and Falmer, has been running for Brighton University students for a number of years. The decision has come as a great shock to students and staff alike, with many expressing their anger at this financially motivated decision. Brighton Student’s Union has released a statement on the cut maintaining that they stand firmly against the University’s decision. 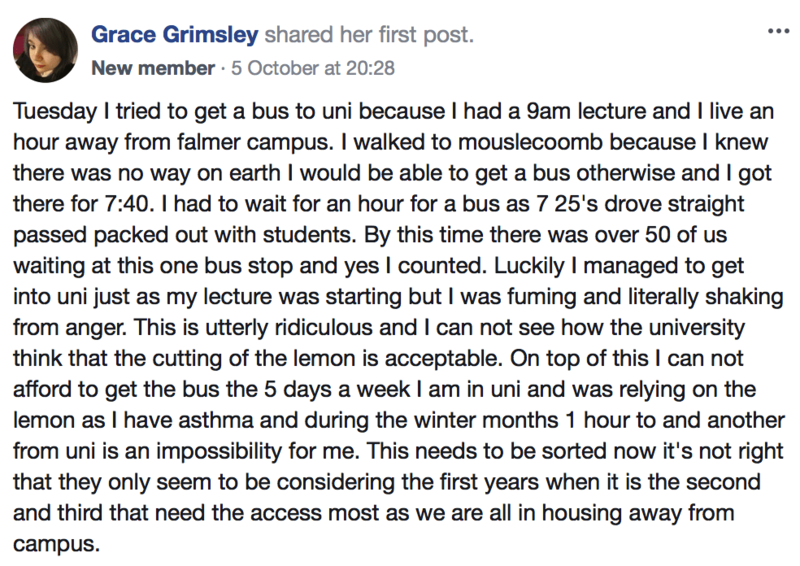 The news about the Big Lemon cut was broken to students via an email, announcing that “Following a travel survey to investigate how much the service was used, and a competitive tender that looked at that information and value for money, the University has appointed a new provider, Compass Travel (Sussex) Limited, to provide a subsidised bus service.” Said subsidised bus service is running between Varley Park and Falmer campus only, with a cost of £1 per journey. It has also since been announced that the University will be running a free service during morning rush hour from Grand Parade to Falmer during only the first few weeks of term. Despite these efforts to replace the Big Lemon, many students remain dissatisfied with these attempts by the University. For the majority of students, the need for buses is far larger than just in the morning or at the start of term, and for students living in Varley Park, the £1 per journey is still a cumulatively large expense when considering the academic year as a whole. As the University has campuses spread all across the city and surrounding areas, walking to and from campus isn’t a viable option for everyone. For these people, forking out for a weekly bus pass is the only way they are going to be able to attend their lectures. As you’re all more than aware, the cost of living in Brighton is extremely high. For many students, their designated maintenance loan doesn’t even cover their rent, let alone general living costs. For some people, the Big Lemon was the difference between choosing to eat that week or making it to their lectures. The cut also ignites concerns of student safety; for many people, late night library sessions are the only time they have to get their work done. If these students cannot afford to get the bus, they are forced to walk through Brighton late at night. For a lot of students, this leaves them vulnerable. We are now into the first term of this academic year, and after only two weeks there have already been multiple reports from students about how they have been late to or even missed lectures due to buses being full. 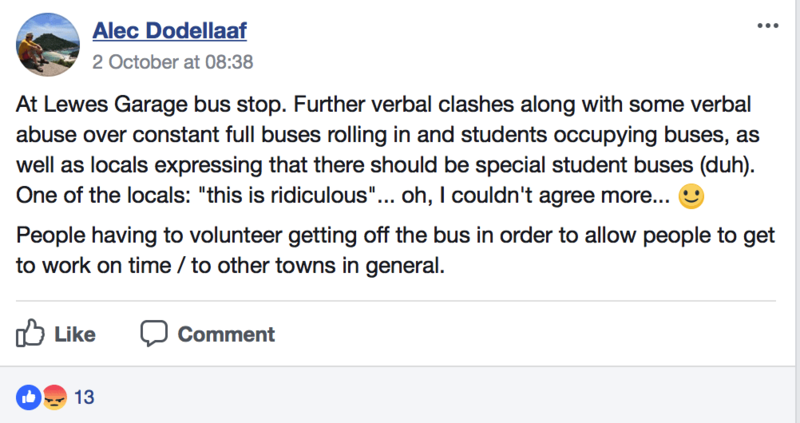 There have even been reports of members of the public verbally abusing students and accusing them of making them late to work. 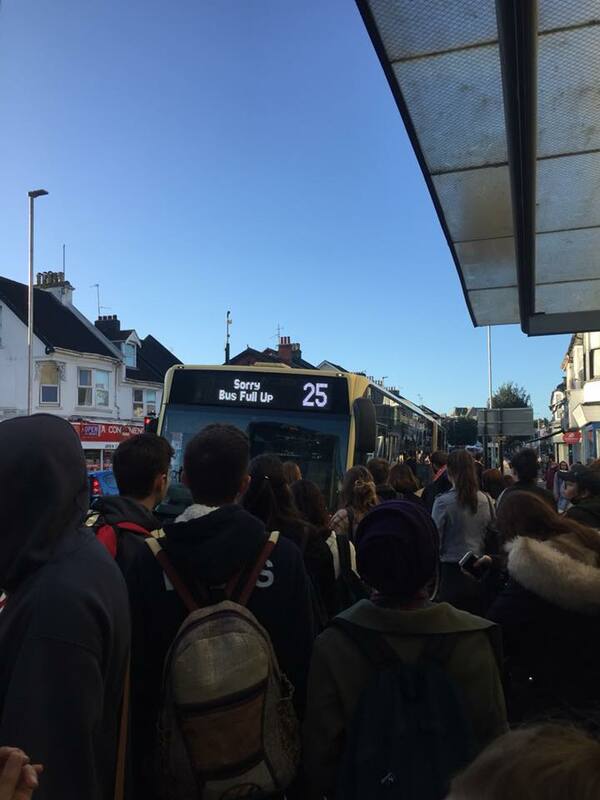 It seems that although the University denoted ‘lack of use’ as a reason for the Big Lemon to be scrapped, the sheer numbers of students being forced to use Brighton & Hove City buses is causing a strain on their services, not only affecting students but the general public as well. The effects of the service being cut are also being felt in Coldean, where too many Varley Park residents are now forced to rely on the 24 bus, causing huge queues and further tensions within the neighborhood. Local Green Party MP Caroline Lucas has been contacted regarding the issue and in response, she has contacted the University’s Vice Chancellor Debra Humphris with her thoughts on the cut. 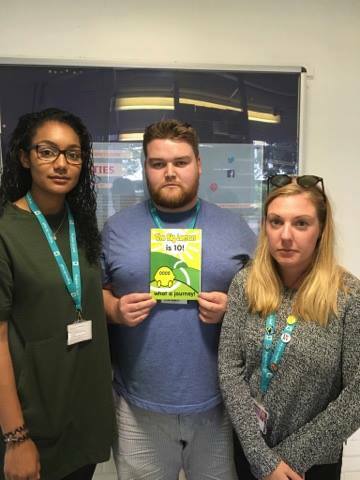 BSU are also currently in talks with the University; on Thursday 5th October BSU arranged to meet Stephen Dudderidge and Sue McHugh from the senior management team in order to discuss the ongoing issues regarding the Big Lemon. They will now be taking the issues raised in the meeting on Monday 9th October. BSU has also arranged an open student forum on the same day where you can make your voice heard. The union also advise that we are all fully within our rights to file formal complaints against the University. If you would like to see the full outcome of the meeting and more information on the forum or complaints process then click here. If you would like to stay up to date with this campaign, you can join the discussion in the ‘BSU Against Lemon Cut Facebook’ group by clicking here. There are plenty of other ways you can help; a petition has also been created in reaction to the cut, with 5,552 signatures at the time of publishing, currently standing proudly. Click here to add your name and have your voice heard. BSU has also had ‘Save the Lemon’ T-shirts printed which are available in student union shops for only £3, so be sure to check them out. 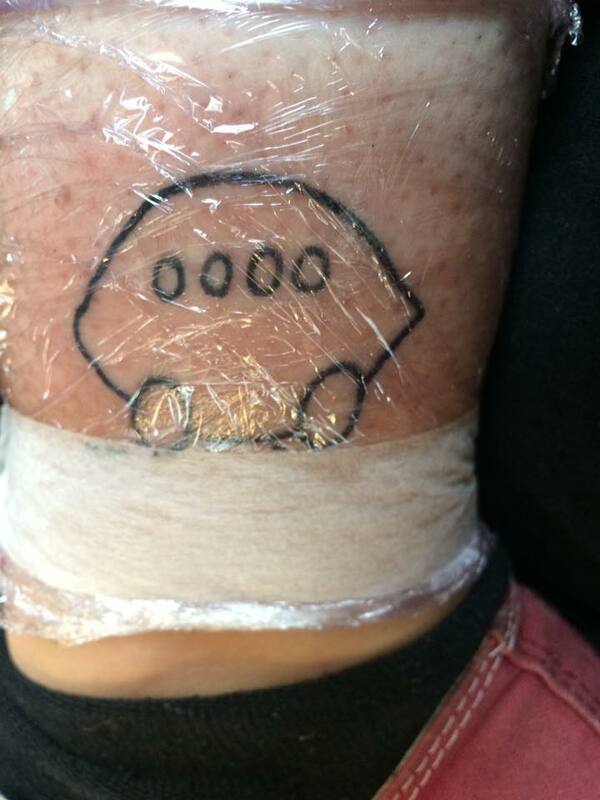 Jess Vane, a University of Brighton student, is particularly dedicated to the cause.